News Archive from Bewdley Town F.C. All the latest news from Bewdley Town F.C. Our home game against Smethwick Rangers this weekend had to be abandoned due to vandalism to the generator which powers the floodlights. Bewdley win 1-0 with a Luke Sidaway penalty. Town have been drawn away at Shepshed Dynamo. Tie to be played 13th October. Away draw in FA Vase. The Bewdley Town Golf Day will be held on Friday 20th July at Bewdley Pines Goldf Course. The Bewdley town Golf day will be held at Bewdley Pines Golf Club on Friday 21st July. More details to follow. Sometime between Tuesday 31st March and Wednesday 1st March the club house was broken in to and thousands of pounds worth of damage was done. More details on the Kidderminster Shuttle site here. If anyone has any information which may help please contact us. Todays home game versus Ellesmere Rangers has been posponed due to a waterlogged pitch. County Cup vs Bredon has been cancelled. The County Cup vs Bredon on 22nd Oct has been cancelled as they can‘t raise a team. On the evening Friday Nov 18th we will be hosting a race evening at Bewdley Pines Golf Club. Bewdley Town have drawn a home game Bromsgrove Sporting FC in the Worcestershire Senior Urn. The tie will be played on Tuesday 25th October at Ribbesford Meadows KO 7:45pm. * Subject to result in FA Vase. Come and support the Town! Bank Holiday Car Boot sale! Car Boot sale at Ribbesford Meadows on Monday 29th August. Gates open at 9am. 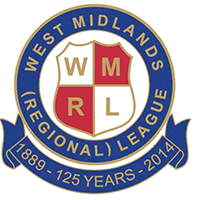 West Midlands (Regional) League Premier division fixtures released. The fixtures for the West Midlands (Regional) League premier division have been released. Bewdley Town F.C. Golf day gallery added.